This economical, yet rugged portable generator series is designed to fit every job site and every budget. 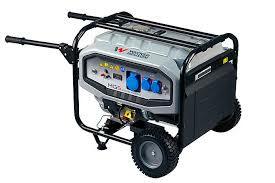 These units provide hours of reliable job site power and performance. 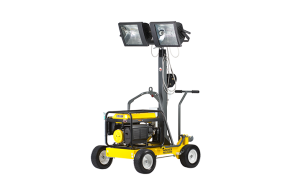 Ideally suited for construction, industrial, commercial, domestic and farm applications. 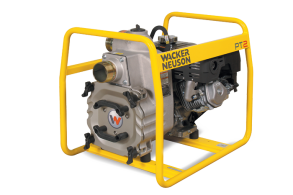 Wacker Neuson has over 160 years of experience in designing and manufacturing equipment specifically for the construction industry. Powered by a 4-stroke Wacker Neuson petrol engine. Non-Inflatable wheels for low maintenance. Durable steel fuel tank for long-life. Wheel kit for moving on site. 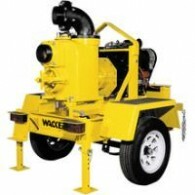 The MG5 generator is an entry level 5.5kW M-Series Wacker Neuson Generator. Perfect for construction, industrial, agricultural or at-home use. The MG5 features a maintenance-free wheel kit, making it easy to move around the site. 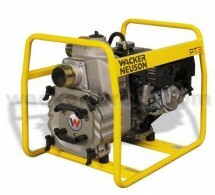 Wacker Neuson SP55/6 Submersible Pump. Discharge Diameter: 50mm (2″ BSP). 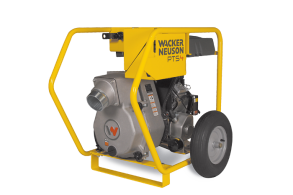 Wacker Neuson’s diaphragm trash pumps can move almost anything that flows. The direct water flow design minimizes down times caused by blockages and permits unsupervised operation. The high-quality components of these machines guarantee optimal performance and a long service life. PDI pumps can handle the removal of liquids containing solids up to 45 mm, ideal for dewatering mud slurries and sumps. 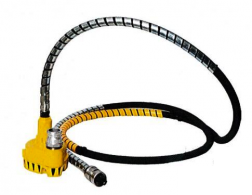 Clear clean water from your job site or swimming pool quickly with the PG 2 dewatering pump. This simple, easy to use pump is designed to move water up to 158 gpm (600 l/min) with very little solids, up to .25-inch (6.5 mm). 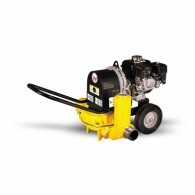 With its self-priming centrifugal pumping action and overall compact size, the pump is ideal for the contractor with the need for temporary water removal. The PT 2 series of centrifugal trash pumps are reliable dewatering tools for a variety of applications. The lightweight pumps can handle up to 210 gpm (795 l/m) and solids up to one inch (25 mm) and are ideal for general dewatering of excavations, flooded basements, manholes, utility vaults, mining work, swimming pools, lakes and barge holds or wherever there is unwanted water. With the radial flow design and built-in contractor friendly features, this line of trash pumps has redefined the quality and durability standards of self-priming, centrifugal trash pumps. The PT 3 series of self-priming, centrifugal trash pumps have proven themselves on job sites around the world. The high-performance, durable pumps can move up to 400 gpm (1515 l/m) and solids up to 1.5 inches (38mm). With the radial flow design, quality components and built-in contractor friendly features these pumps have redefined the durability standards of a job site pump. The PT 3 series is popular for general dewatering of excavations, flooded basements, manholes, utility vaults, mining work, swimming pools, lakes and barge holds or wherever there is unwanted water. The PTS 4V self-priming centrifugal trash pump can move larger amounts of water for a variety of job sites. With the ability to pump up to 705 gpm (2667 l/min) and solids up to 2-inches (50 mm), this pump is ideal for dewatering excavations, utility vaults, mining work, swimming pools, lakes and barge holds or wherever there is unwanted water. With the radial flow design, quality components and built-in contractor friendly features, this trash pump has redefined the quality and durability standards of self-priming, centrifugal trash pumps. 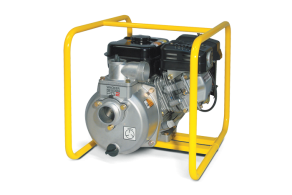 The PT 6 self-priming centrifugal, trash pump provides fast, cost effective pumping solution for larger jobs. With the ability to move water up to 1300 gpm (4935 l/min) containing solids up to 2-inches (50mm) big dewatering jobs are completed fast so work can continue. Featuring cast ductile iron pump housing, impeller, wear plate and volute, this durable trash pump offers a long, trouble-free service life. This high performance pump is an ideal choice where ever larger volumes of water need to be moved. 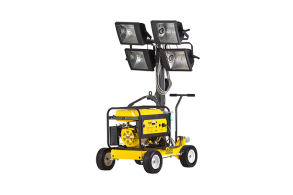 The Wacker Neuson compact size and light weight light tower offers outstanding performance and a high degree of safety, yet at a most competitive price, thus providing you the best return of investment. Using special pulse type metal halide lamps, the ML series is an excellent choice for lighting construction sites, municipal road maintenance, commercial landscaping and wherever reliable and safe mobile lighting is needed. Compact size, light weight. Pulse start lamp for longer lamp life and better luminance compared to probe start lamp. Wider light coverage due to rectangular shaped lights. High wind stability with side stabilizers and high strength fixture frame material. All lamps can be turned individually. Solid polyurethane high quality wheels, no inflating needed. Easy to access lamp breakers. Heavy duty wheel brake. 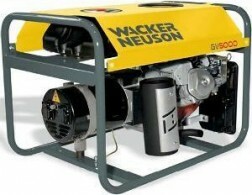 Equipped with Wacker Neuson’s heavy duty jobsite generator. 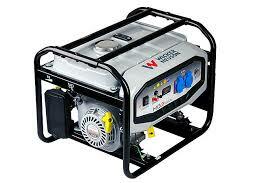 Easy mounting / dismounting of generator. Extra mounting slots for other brand generators.